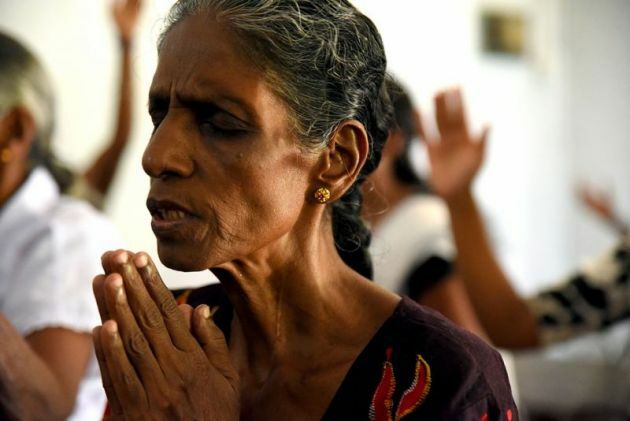 Disturbing revelations for India and China - the world's two most populous countries - which have seen a dramatic increase in the persecution against Christians, the 2019 Open Doors World Watch List reveals. "As they are each home to more than a billion people, even an incremental rise in persecution has an outsized, exponential impact in these countries," said Open Doors in its Global List of Worst Religious Persecution Offenders on Jan. 16. "China jumps a shocking 16 spots on the Open Doors World Watch List from No. 43 to No. 27, while India enters the top 10 list for the first time. "Russia, which last appeared on the list in 2011, enters at No. 41," said the report. In India, Hindu nationalists fueled a crackdown on Christians and churches, promoting the widespread oppression of religious minorities. Such is the rapid deterioration in the last several years, as non-Hindus are increasingly regarded as outsiders in their own country said Open Doors. "In some areas, this has translated to brutal violence against Hindus who have converted to Christianity," said the report. "The situation in India is volatile, and religious minorities in particular face extremely dangerous situations with mobs of violence breaking out and demanding death sentences." China's dramatic rise in 16 spots from last year's ranking is one of the highest jumps on the list. "The heightened power of the Chinese government is being wielded to remove any challenges to the absolute authority of President Xi Jinping, even if those challenges are related to personal faith in a god other than the State," said Open Doors. New Chinese regulations and government crackdowns have made open worship for unregistered churches increasingly risky, particularly in certain regions of the country. "Pastor Wang Yi's recent arrest along with some 150 Christians is a recent indicator of the expanding level of control and religious persecution." Open Doors list is in its 27th year, describing itself as the "world's definitive assessment of religious persecution based upon in-depth, rigorous analysis of on-the-ground, first-person research." It says it is a "a global indicator of where human and religious rights are being violated, and those countries most vulnerable to societal unrest and destabilization." Across the 50 countries on the Open Doors World Watch List it is estimated that more than 245 million Christians now experience high, very high or extreme persecution, an increase from 215 million in 2018, said the organization.